In the UK last year, we spent a whopping £320 million on Halloween. While spending that amount of money might send chills down your spine more than any horror flick would do, the reality is that Halloween is a great way to have some fun with your audience, with many corporations spending millions of pounds on their marketing campaigns each year (plus, the free sweets and chocolates are pretty good too). Here’s a selection of some of the best Halloween inspired prints from over the years! 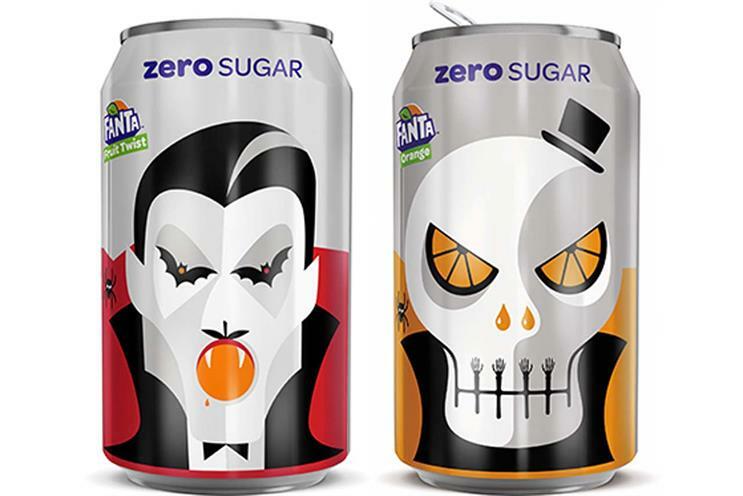 In 2017, we saw Fanta update their cans and bottles with this frightfully fun design. Working alongside graphic designer Noma Bar, the limited edition designs featured four ghoulishly fruity characters including a witch, skeleton, Frankenstein and Dracula, with the designs making a reappearance this Halloween too. Will you be brave enough to pick one up? 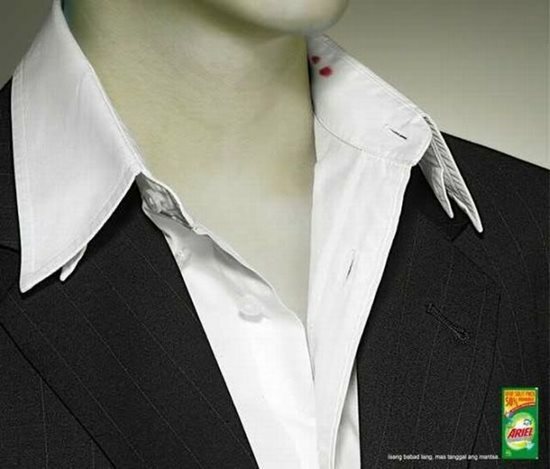 Featuring two small blood marks on this poor victim’s shirt, this clever advert from Ariel plays right in to the spirit of Halloween, while also giving a nod to the power of their stain removing product. Suggesting it can get rid of even the hardest to remove stains, this is a product perfect for vampires and vampiresses alike! In a great example of harmless banter done right, we have Pepsi getting right in to the swing of Halloween with a cheeky stab at Coca Cola. 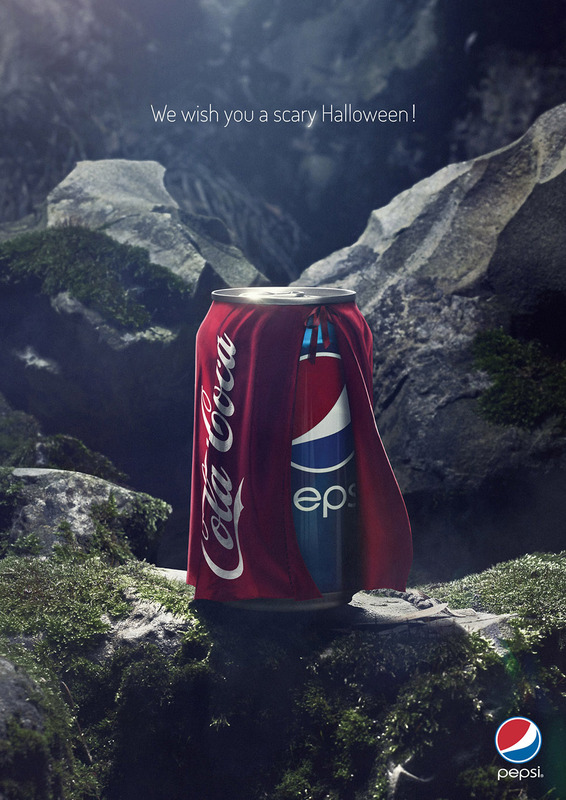 Wishing their customers a ‘scary Halloween’, we can see a can of their staple pop adorned with a Coca Cola cape. Scary? Not so much. But clever? We think so! 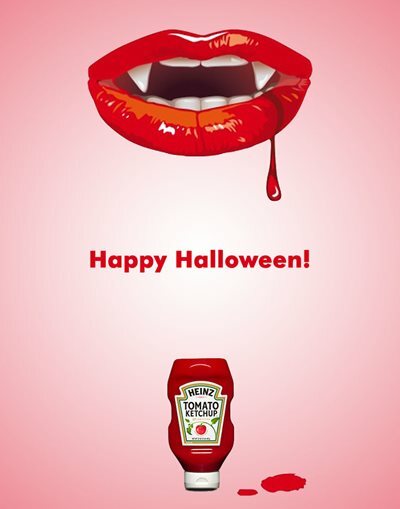 And lastly, it has to be Heinz. 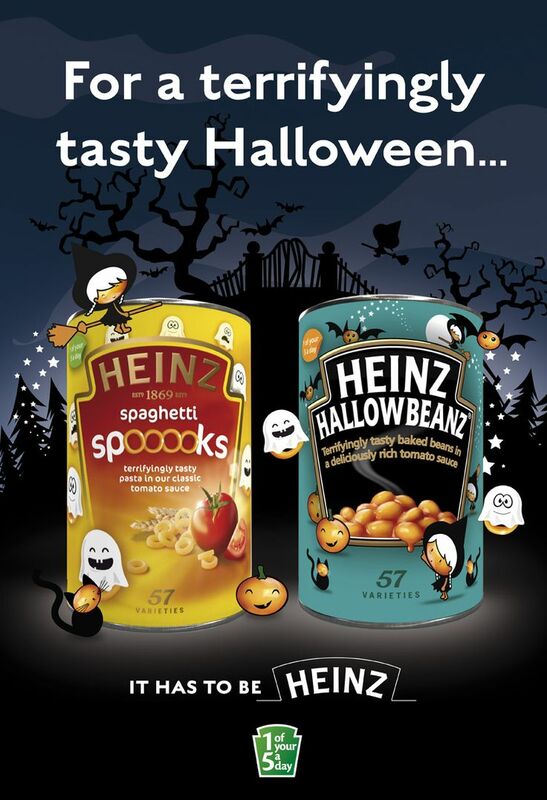 To promote these limited edition cans of spaghetti ‘spooks’ and baked ‘Hallowbeanz’, Heinz redesigned its classic canned goods to include these spectacularly spooky versions (plus, we all love a good pun, don’t we?). If you’re ready to have your flyers designed and/or printed, don’t forget to get a quote with us today by filling out the online form on our website, or by contacting howdy@printshop.uk.com. And don't forget to follow us on Twitter and Instagram to keep up to date with our services and the latest print news!